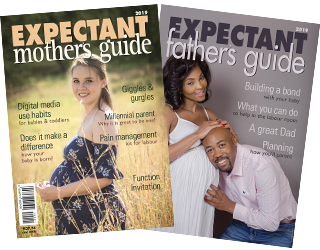 Expectant Mothers Guide | Do you need extra birth support? 08 Nov Do you need extra birth support? I often think a birthing day is much like a wedding day. It is anticipated for months; it marks a pivotal moment in relationship (between parents and new baby); a baby shower marks the preparation and parents attend an antenatal course (slightly like marriage prep). There are probably a few more analogies we can draw but the point is, it is a momentous day in your and your partner’s life. Research tells us that as a mother, you will remember tiny details of your baby’s birthday 20 or more years later. A dad-to-be recently told me how his mother recounted the day of his birth to him 40 years later. Because you don’t have control over every detail of the day and the day usually doesn’t turn out exactly as you imagined it. Despite not being able to manage everything, it is imperative that you have some precious memories of the day. Centuries ago before dads were “allowed” to witness the birth of their baby, women were helped and supported (along with the local midwife or GP); by a birth attendant or female family member who had either previously given birth or previously helped at births. As birth has become more medicalized, the natural or more emotional aspect of support and care is often lost. Research has re-visited “Continuous birth support” (aka Doula Support) to see if it makes a difference to birth outcomes and women’s experiences and the results are astounding. Women who had birth support were more satisfied with their births. The reviewers concluded that given the details and results of all the research the positive benefit of birth support was best when the person wasn’t a family member or from the immediate social network of the couple and wasn’t part of the hospital staff. In a nutshell that means an independent doula has the potential to make the biggest difference to your birth experience. The word doula originates from a Greek word meaning “female slave” or “maid servant”. Today it refers to a person specifically trained in the physiology of pregnancy and birth and how to provide suitable support for a mother during labour. Their job will include providing emotional support, reassurance and praise – very much a birth-coaching role. They provide information about the labour and particularly medical terminology and procedures. They help couples understand the progress of labour and how far along the mother is in her labour – depending on the medical staffs assessments. They play a very significant role in pain management, helping with alterative pain management tools, coaching in breathing, position changes and use of other support measures to facilitate the labour. They will keep offering the mom sips to drink and regularly help her empty her bladder, which are two key factors in labour progress. They help the parents follow their birth plan and often serve as a go-between between the hospital staff and the laboring parents. Doulas are not only of benefit during a normal birth but can also make a caesarean birth less stressful and more enjoyable for the couple. Hospital staff members are often a bit nervous to have a doula around – unless they’ve had first hand experience of how useful a doula in the birthing room can be. A doula is not there to do medical tasks like take blood pressure, monitor labour progress or interpret foetal heart rate tracing but rather to support the couple through the labour. A doula might ask a doctor or midwife to explain an intervention so that the couple can understand it better. She is very much a supportive part of the birthing team. I recently heard a labour ward nurse say “I’m always relieved when I see a labouring couple come into the labour ward with a doula because I know they make my job easier”. Why does a doula make a difference to birth experience and outcomes? Stress during labour stimulates the release of stress hormones (epinephrine) and can have a negative impact on mom and baby. This can also slow the labour down. We want moms in labour to be as relaxed as possible and to feel confident in the work their body is doing. This state of being can help labour progress well but also helps moms feel more satisfied with their baby’s birthday. A doula helps buffer the moms experience and response to her environment and helps her use her environment to progress the labour. A doula also will help a mom stay more upright, move around and find different positions to help with the pain, which may help the baby move more easily through the birth canal. A Doula is not a lay person but rather someone who has undergone training in South Africa or Internationally and has an official accreditation. What other roles do Doula’s fulfill? Other roles vary between doulas. Some provide birth preparation courses, postnatal support at home or birth debriefing and support groups. Bereavement doulas serve mothers who are going through labour when their baby has died or they are undergoing a medical termination. The doula will stay with the couple during the birth and then provide continued support once the mother is discharged from hospital. This support makes a significant difference in the couples grieving process as well as helps eliminate other stressors that may make the process more traumatic. Continuous birth support isn’t just a passing “birthing fad” but rather is documented and recommended by large reputable organizations around the world. The World Health Organization and the Better Births Initiative recommend the presence of a doula or additional birth support during labour. The National Institute for Health and Care Excellence (NICE Guidelines) encourages birth companions and also encourages interaction between health care professionals attending the birth and the birth companions to facilitate the best possible support for the birthing mother. Although NICE are United Kingdom Guidelines they have become widely respected around the world as standards for good practice. The American Congress of Obstetricians and Gynaecologists recommends continuous birth support during labour. The South African Department of Health ‘Maternal Care Guidelines’ recommends companionship during labour that is not limited to one person. Some of our large private hospital groups in South Africa “welcomes” the use of doulas but this isn’t necessarily happening in individual hospitals around the country. Of course the major doula organizations in South Africa also encourages using a doula during birth (DOSA – Doula’s of Southern Africa and WOMBS – Women Offering Mothers Birth Support). So to finish off where we started, having a doula at your baby’s birth can make a significant difference in how the day turns out and what special memories you have to look back on. I think of Doula’s like wedding planners – without audio headsets – they’re behind the scenes helping to make the day the best possible day for you, your partner and your baby. Memories that you will still be recounting 40 years later.